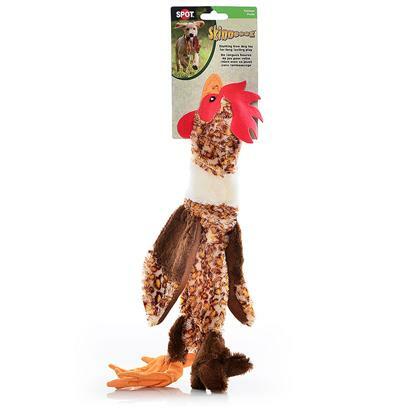 Home Categories Vitamins & Supplements Skinneeez Plush Chicken 18"
Your dog will be ready to prove he's no chicken as his natural hunting instinct is revealed with the Skinneeez Chicken! Dogs will enjoy hours of entertainment flip flopping our stuffing free Skinneeez toys. All Skinneez toys have 2 squeakers. 1 in the head and 1 in the tail for double the fun.